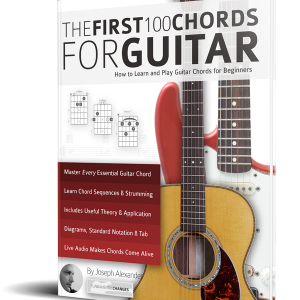 Quickly learn how to solo over the 13 most essential chord progressions in jazz guitar using arpeggios, substitutions and chromatic approaches. Learn the best arpeggios to use over the thirteen most common chord sequences in jazz and bebop guitar playing. 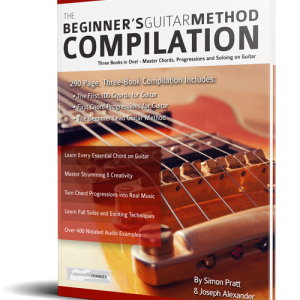 Jazz guitar can be a challenging style of music to learn. As guitarists we are often more comfortable playing scales rather than the true building blocks of jazz solos; arpeggios, so it can be difficult for us to emulate and build authentic bebop language. There are many different bebop chord progressions, but in essence they can be broken down into just thirteen simple structures. 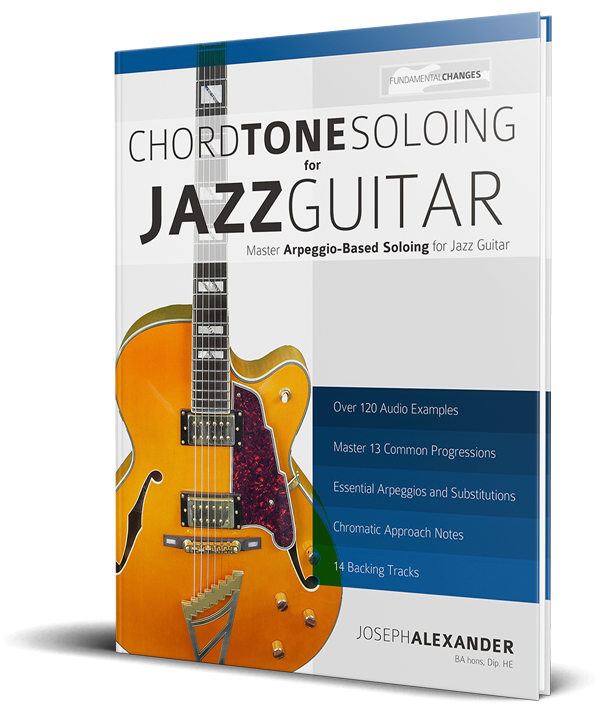 Jazz Guitar Chord Tone Soloing teaches you to how to use arpeggios, extensions, chromatic ideas and substitutions over each of the thirteen essential jazz sequences, and how to combine these building blocks into authentic, melodic solos. 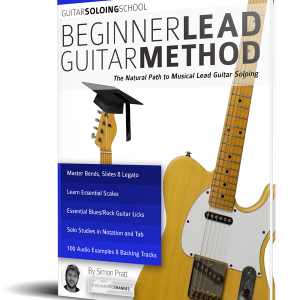 Each progression is approached both logically and methodically to build articulate guitar solos from the fundamental principles of jazz guitar. By applying arpeggio-based techniques, and learning to decorate your solos with chromatic ideas, you will quickly learn how to ‘play the changes’ in a musical and creative way. 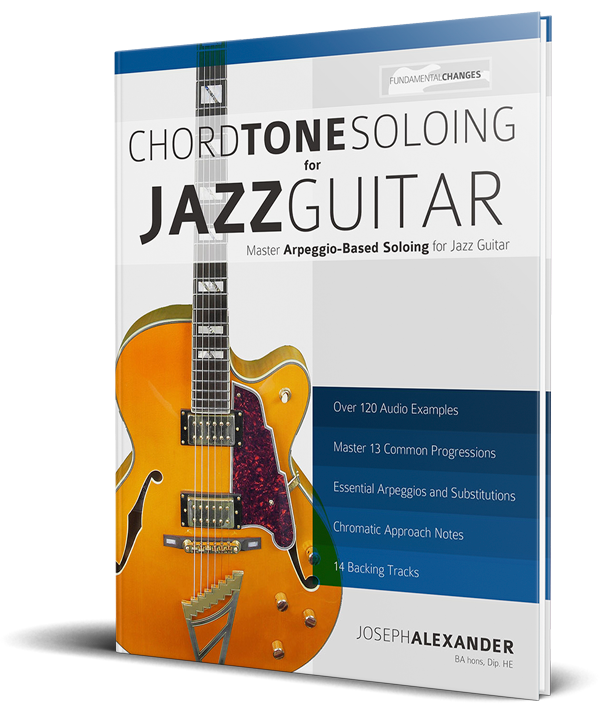 Jazz Guitar Chord Tone Soloing helps you build an articulate jazz language around the most important sequences in jazz. 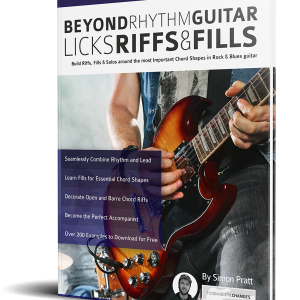 Jazz soloing developed around the concept of ‘hitting the changes’ and by combining rich arpeggios with chromatic ideas you will quickly master the jazz guitar language. This is a new release and reviews take time! Check out our other popular releases with over 1000 positive reviews on Amazon. If you like this book, please take a second to review it. If you have a question, please get in touch through the fundamental-changes.com website where you’ll find over 250 free guitar lessons.